Are you ambitious, motivated and passionate about Emergency Medicine? Do you want to make a difference to your patients? If so, an exciting opportunity has arisen for a Ward Manager to join the team on the Acute Medical and Ambulatory Emergency Care Unit at The Royal Shrewsbury Hospital. This demanding and challenging role requires commitment and a positive approach towards change. We are looking for an experienced, dynamic, highly motivated and enthusiastic nurse to join our team providing excellent leadership and high quality nursing care. The successful candidate will be able to demonstrate excellent communication and team working skills and will be dedicated to improving the patient’s experience. They must have a proven ability in supervising, managing and controlling the activities of a ward in an effective and efficient manner. You will be expected to be a clinical role model with a willingness to develop the team as well as your own professional growth. You will be responsible for the Operational Management, Budget Management and Human Resource Management of the unit and will work closely with the Matron. 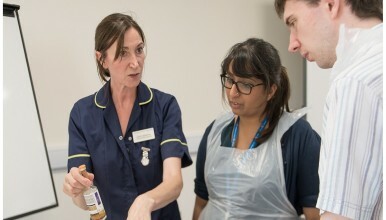 You will demonstrate continuing professional development and a strong commitment to develop your junior staff and to work closely with the wide multi-disciplinary team. This role offers the opportunity to utilise and develop leadership and change management skills. The post is substantive and opportunities will be provided to undertake relevant training to support professional development. Individuals must be able to demonstrate our Trust Values. Applicants must have a minimum of 5 years post registration experience, with a minimum 2 years at Band 6 level. Recent experience in an acute setting is essential.